Jessica Chastain is on hand as a juror for this year's 70th Cannes Film Festival and this evening(May 17th) she attended the opening ceremony and the 'Ismael's Ghosts' premiere at Palais des Festivals in Cannes, France. 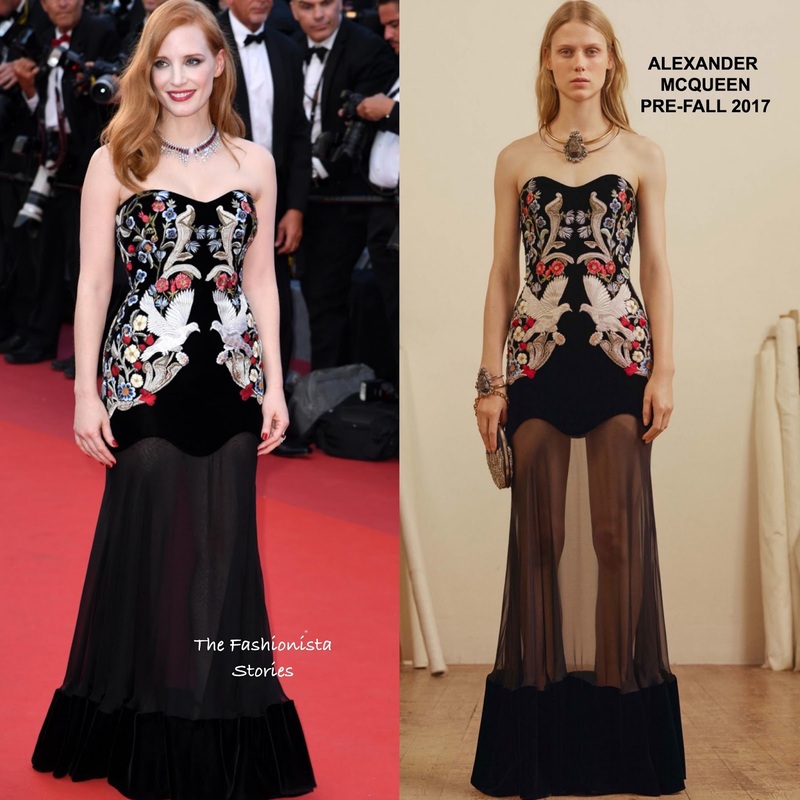 She hit the red carpet in a ALEXANDER MCQUEEN PRE-FALL 2017 black strapless floor length dress with a velvet floral embroidered bodice with a bird motif and a sheer & velvet hem skirt. Although I think it wasn't needed, a statement red stone & silver beaded necklace to her look. However being that this is a strapless dress, you can see why it was added and I still thought she looked elegantly beautiful for the opening. Side parted waves and a smokey eye offset with a red lip finished up her look.